There has been a large amount of attention focused on high intensity interval training in the fitness arena and with good reason. HIIT is effective and can result in rapid fitness gains. Recent studies have found that only 20 minutes of HIIT can cause changes in aerobic endurance that would normally take months of traditional steady state cardio workouts of 30 to 60 minutes per day. High intensity exercise increases the use of fat for fuel and releases fat from fat cells. It also results in an increased metabolic rate after exercise. HIIT involves timed intervals, intensity or speed with each interval, repetition of intervals, and periods of rest between the intervals. However, high intensity interval training does come with a certain amount of risk. Overtraining or a lack of proper conditioning in unfit individuals can result in injury. Thus, it is always a good idea to start gradually and to cut back on HIIT if you are overly fatigued or sore. Combining HIIT with lower intensity steady state cardio sessions is a good option for increasing metabolic rate while reducing the risk of injuries. One of my favorite techniques for HIIT is to perform a ladder format where each interval segment becomes increasingly difficult until I reach the highest peak. Once I reach the peak, I then reverse the order of the intervals and work my way back down the ladder. Here is one of my favorite ladder HIIT workouts on the stair stepper. Ladder workouts can be intense. 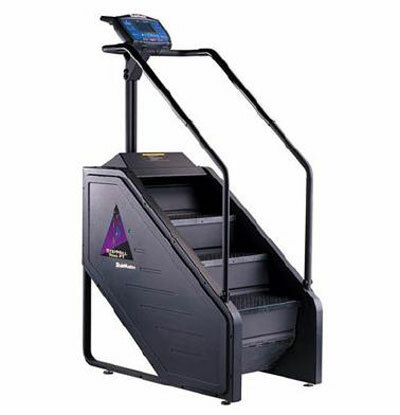 So adjust the levels and interval times as needed to suit your fitness needs. References:Brooks G, T. Fahey, and K. Baldwin. Exercise Physiology: Human Bioenergetics and its Applications. New York: McGraw Hill, 2005. (4th edition)Burgomaster, K. A., et al. Six sessions of sprint interval training increases muscle oxidative potential and cycle endurance capacity in humans. J Appl Physiol. 98:1985-1990, 2005.Fahey, T.D., P. Insel, W. Roth. Fit and Well. New York: McGraw Hill, 2014 (11th edition). I would love to read more about health and wellness! Are you doing personal training?